Jazzy 45s galore – and a huge dip into the vaults of Prestige Records! This tasty set brings together 18 classics recorded in the heyday of the jazz funk years at Prestige – the late 60s and early 70s, a time when the soul jazz sounds of previous years were being forged into a leaner, meaner, harder-hitting groove. And although the LP was the growing format during these days, there was actually a heck of a lot of great work issued on 45s – still spinning strong with the jukebox crowds in the clubs and tap rooms, and still getting major play on radio stations, where the single was still king. 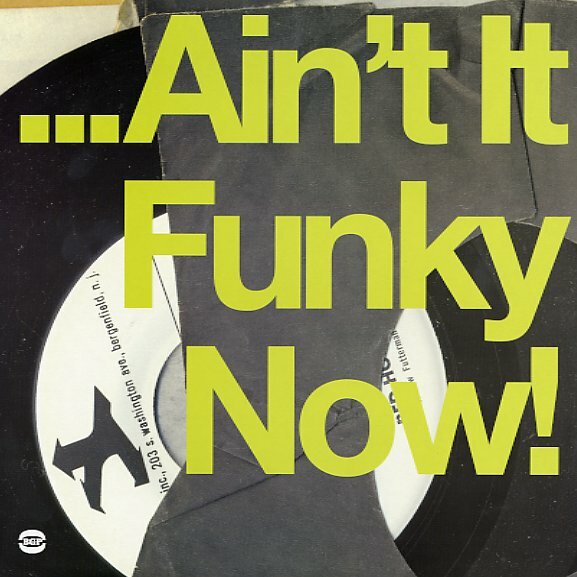 The set features many 45 mixes of funky classics that you might know from LPs – and intersperses them with some other more obscure numbers pulled from full albums – making for an all-solid, all-funky set of tracks from one of the hippest jazz labels ever! Titles include "Fire Eater" by Rusty Bryant, "Don't Knock My Love" by Idris Muhammad, "Jungle Strut" by Gene Ammons, "Express Yourself" by Idris Muhammad, "Right On" by Boogaloo Joe Jones, "Who's Gonna Take The Weight" by Melvin Sparks, "Sing A Simple Song" by Charles Earland, "Son Of Man" by Houston Person, "Listen Here (part 1)" by Freddie McCoy, "Black Talk (part 1)" by Charles Earland, "Message From The Meters" by Leon Spencer, "Reelin With The Feeling" by Charles Kynard, "I Want You Back" by Harold Mabern, and "Thank You (part 1)" by Melvin Sparks. © 1996-2019, Dusty Groove, Inc.